Several studies support the safety -- and in several cases, the efficacy -- of yoga as a complementary therapy in multiple sclerosis (MS), researchers reported here. Yoga is one of the most frequently used complementary therapies in MS, and it has a growing body of evidence to support its use. Its use of static and dynamic poses may enhance flexibility, balance, and strength, and its meditation component -- the relaxation and breathing control -- could benefit other domains, including mood and sleep. In a literature review, Bláthin Casey, MA, of the University of Limerick in Ireland, and colleagues found statistically greater effects for yoga compared with no intervention for balance, pain, anxiety, depression, walking, fatigue, and quality of life. They reported their findings during a platform presentation at the Consortium of Multiple Sclerosis Centers meeting here. Casey and colleagues conducted a systematic review of the literature and assessed study quality via the PEDRO scale and the Cochrane Risk-of-Bias tool. They included only randomized controlled trials that had a yoga intervention group, and all patients had definite MS. They ultimately included seven trials with sample sizes ranging from 11 to 77 patients who had Expanded Disability Status Scale (EDSS) scores of 6.5 and under. They noted that outcome measures were varied across the sites. The investigators found statistically greater effects for yoga compared with no intervention for balance, pain, anxiety, and depression, and greater improvements in walking endurance and speed for MS patients in yoga programs than for those not enrolled. They also reported better effects on fatigue and improved quality of life with yoga. They cautioned, however, that the studies exhibited moderate-high bias, with an average PEDRO score of 4.3. Although the researchers concluded that yoga has a positive effect on body function, activity limitations, and quality of life, they cautioned that due to the poor methodological quality of the included studies, more studies are needed to confirm the findings. They also noted that there was a lack of adverse events in any of the trials, which suggests that yoga is a safe option for MS patients, and that further studies may be able to include patients with greater mobility limitations. In another study, Cleveland Clinic researchers compared the effects of yoga and meditation on MS patients. Darlene Stough, RN, and colleagues randomized 13 patients to either yoga or to meditation, given in two 1-hour sessions a week for 8 weeks. They hypothesized that yoga's focus on breathing, relaxation/meditation, and postures would be more likely to influence motor function -- particularly walking and balance -- than meditation alone. However, that wasn't what they found. Although Perceived Stress Scale-4 (PSS-4) and Center for Epidemiologic Studies Depression Scale (CES-D) scores improved to a significantly greater extent for patients in the yoga group, there were no differences in other variables including walking, balance, and fatigue. They said it's not yet clear why yoga led to better improvements in stress and depression than did meditation, but had similar outcomes for walking and balance. In yet another study -- this time examining meditation alone -- Cecilia Wan, MA, of St. Michael's Hospital in Toronto, reported that mindfulness-based meditation led to a 40% reduction in pain scores among 13 patients enrolled in an 11-week program based on the Mindfulness-Based Chronic Pain Management (MBCPM) curriculum developed by hospital faculty. 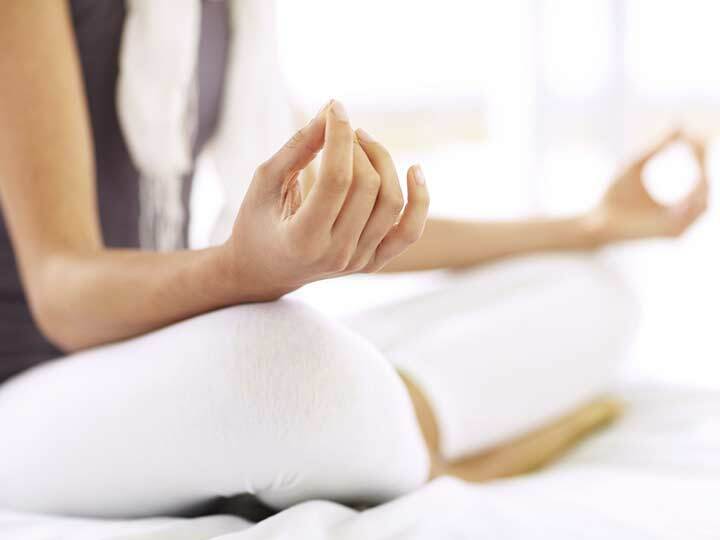 These patients also had improvements in function and mental health, leading Wan to conclude that mindfulness meditation could be an effective treatment for pain in MS, as well as quality of life. All of the researchers called for more work to better understand potential benefits of yoga and meditation in MS.